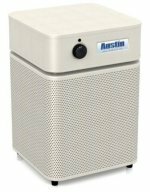 Below is a collection of top-rated allergy relief products, such as room air cleaners, HEPA vacuums, steam cleaners, dust mite proof bedding, bed bug solutions, and dehumidifiers. This store is powered by Amazon.com, the world's largest online retailer and a vast source of ratings and reviews for most leading asthma and allergy control products. I find Amazon.com to be one of the best research tools for checking home air purifier consumer reports / ratings / reviews, and for comparisons of HEPA air cleaner models and their features. If an allergy relief product has any flaws, they will usually show up in the consumer reports if enough people review that product. I do not put much faith in one or two general negative reviews, if for example there are only a total of maybe 4 people who have left feedback about a product. In other words, negative feedback should be taken with a grain of salt if the number of consumer reports is small. A larger number of reviews is usually more helpful to guage overall satisfaction levels regarding how effective an air purifier, or steam cleaner, or HEPA vacuum is overall. I have noticed there will often be a minority of unfair or biased grumps or overly critical / picky people who is trying to bad mouth a product seemingly for no good reason and with claims that are repeatedly refuted by others' reports. As we all know, some people are never happy. It is also possible that there may sometimes be shenanigans by the competition trying to ding another company's reputation by posting falsely negative reviews. So I tend to pay attention to the more balanced reviews listing both positives and negatives. And in the converse, thin Polly Anna reviews are not very helpful either. So the more alternate balanced reports there are, the easier it will be to see and discount the statistical outlyers (such as persnickety grump minority 1 stars and empty Polly Anna 5 stars). In other words, the bigger the jury...the better to see real patterns. In the lab, when measuring concentrations and intensities of elements in solution, we would call that a more desirable "signal to background noise ratio". The bigger the sample size, the better for weeding out negative AND positive "noise". If 250 customers have left a room air cleaner review on Amazon.com and I see a specific complaint repeated over and over, that is a red flag. Enough frequency of those red flags is a good indicator for future buyers to beware of that drawback or manufacturers defect because it is more likely to be a probable and meaningful design flow, as opposed to just an isolated rare assembly line error (which happens with ALL products). Of course, it could also be a sign that little emphasis or diligence is being placed on quality control at the factory assembly line or in shipping and receiving. One example I've seen recently was the frequent reports of "sparking or popping noises" with one top-selling ionic air cleaner. This complaint was mentioned in about 25% of many of the product's air purifier reveiws on Amazon.com. 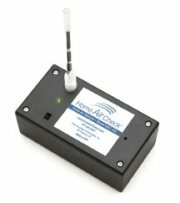 Anyone researching that ionizing air cleaner would probably have noticed that complaint being mentioned over and over again in those many reviews with lower star ratings. So anyone reading air purifier consumer reports would have been able to avoid the irritating noises, poor performance, dust collecting on walls, and possible fire hazard of this electrostatic air cleaner, no matter how perfect the marketers were making it sound on a late-night infomercial. Even if you check consumer reviews and comments at Amazon before spending your hard earned money, be aware that the majority may often be wrong or mis-guided in their judgement about quality air purification. Unless someone is qualified and able to do a scientific measurement using properly calibrated laser particle counters (which are very expensive and require expertise to operate), any belief that symptom reduction was due to a particular model of air cleaner or healthy home cleaning product may be subjective at best. Overall positive reviews could be a majority placebo effect not directly related to true relative performance. This is why I also recommend getting expert unbiased opinions to support or refute manufacturers' / marketers' claims. Amazon.com's Consumer reports will often cut you to the quick on any mechanical problems or design flaws, but they will not necessarily help you avoid future buyers' remorse due to poor actual performance. This is especially true for the more chemically sensitive consumer, such as those suffering from MCS (Multiple Chemical Sensitivities) or existing respiratory or immunologically compromising illnesses. The regular Joe may be happy because they think an air cleaner is really cleaning the air. But someone with MCS is much more perceptive and sensitive to impurities in the air, and thus might refute someone else's positive review because they are more likely to suffer and detect poor performance. So, due to a wide gradient of perceptiveness, human opinion is usually a poor method of judging true healthy home product performance. Independent testing such as is done by my below preferred source, is particularly important when buying healthy home related products. Products specifically designed and advertised to control allergy and asthma triggers indoors require special measurement to verify how quantitatively effective they are at reducing those indoor air pollutants or sources. Matters of health require more than just laymen consumer opinions. Average consumer reviews often mistake a subjective quality such as "sweet fresh smell of air" to mean the product is effective. But in reality this could mean an air purifier is doing more harm than good - an example being so-called Ozone Air Cleaners which may give off dangerous Ozone gas (sometimes reported to smell "sweet" or "fresh" when present at higher concentrations in air). Ozone is a harmful airborne toxic by-product of some electronic air purifiers. Expert reviews will often help you see which air purifiers are certified "Ozone-free". 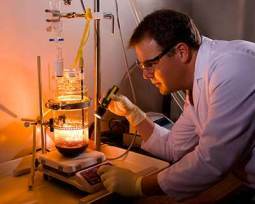 An expert review will often involve independent testing using sensitive measurement equipment, strict testing protocols, and carefully controlled conditions. 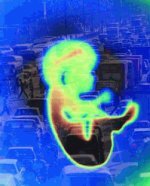 Noise levels, Ozone emission, particle counts, delivered air flow, air changes per hour, air leakage, ect. are some commonly tested-for variables of true performance. The average Joe just can't give you that extra level of essential verification. If you want to compare the consumer reviews at Amazon, to professional feedback from the source recommended by many healthy home experts, then don't miss the below tip about Allergy Buyers Club. They independently test healthy home products including many of the very best room air purifiers for asthma and allergies. Those with MCS are well aware of this expert source. I've noticed that if they carry it, they have usually tested and verified that it is indeed top of the line. See the blue box at page bottom for more information about this recommended pro source for industry leading indoor air quality products. Home Air Purifier Expert.com is a participant in the Amazon Services LLC Associates Program, an affiliate advertising program designed to provide a means for sites to earn advertising fees by advertising and linking to amazon.com, endless.com or smallparts.com. You can read my entire compensation disclosure here.